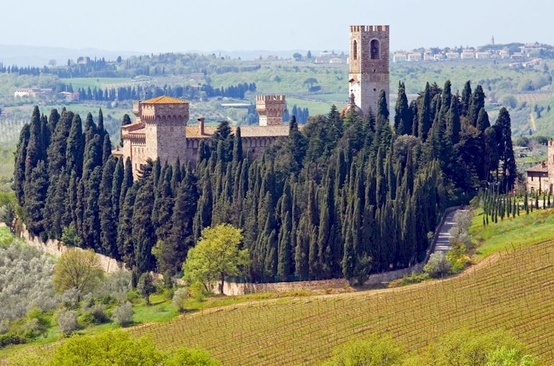 Brolio Castle (Castello di Brolio, home of modern Chianti Classico wines) is located near Gaiole in Chianti and is a major attraction for visitors to the area. 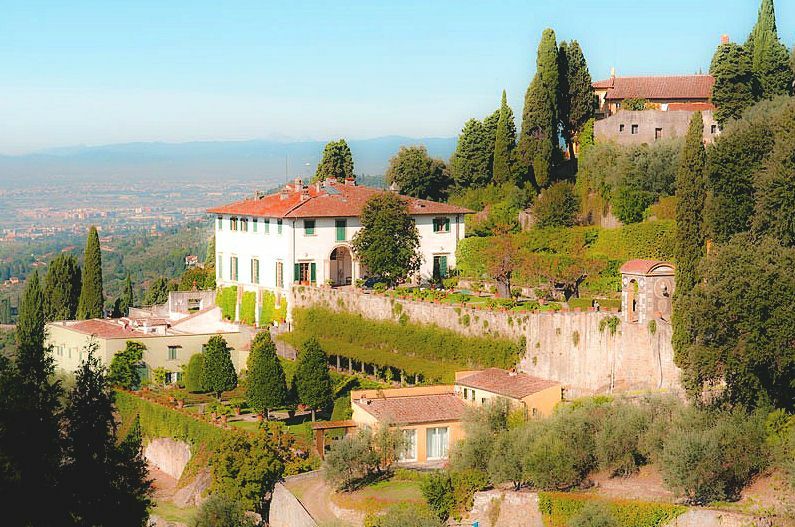 Historically, the castle is very famous as the ancestral home of Baron Ricasoli who was an important political figure in the new Italian nation during the late 19 C and also, of course, a progressive agronomist who defined the first grape blend for Chianti Classico wines. 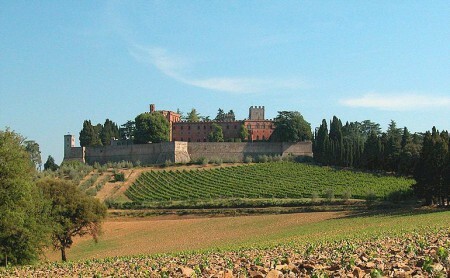 However, although a famous landmark in Tuscany, Castello di Brolio is in fact a 19th century Gothic Revival structure. The site has undoubtedly been the location of fortifications since the days of the Longobards and has been the property of the Ricasoli family, with interruptions, since 1141. But what tourists visit today, despite it being an archetypal “castle”, is not very old and should be recognised for what it is, a product of Baron Ricasoli’s enthusiasm for the English Romantic architectural fashion of the day. There is a small collection of arms and armour to be seen, in addition to the family chapel of St. James also in neo-gothic style. Tours are available but consist only of the grounds, including the neo-Renaissance garden, arms museum and wine tasting room. Personally I do not rate this tour highly. Probably it’s best to view the castle from outside of its gate and to admire the fabulous panoramic views without paying the rather hefty admission fee. 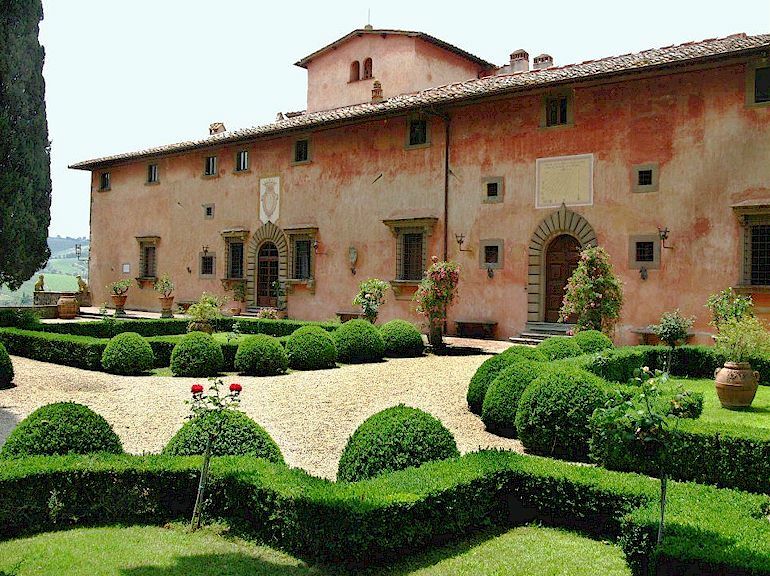 Many scenes in the 1996 Bernardo Bertolucci film Io ballo da sola (Stealing Beauty) were filmed on the property of Castello Brolio. 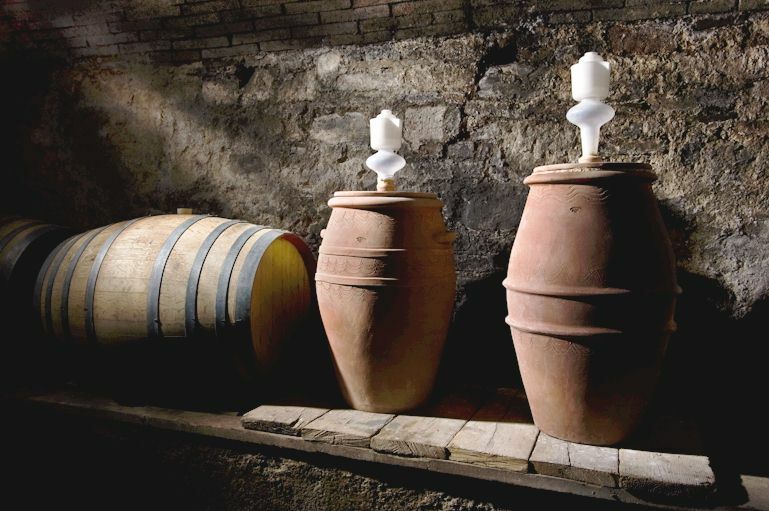 More about Castello di Brolio. 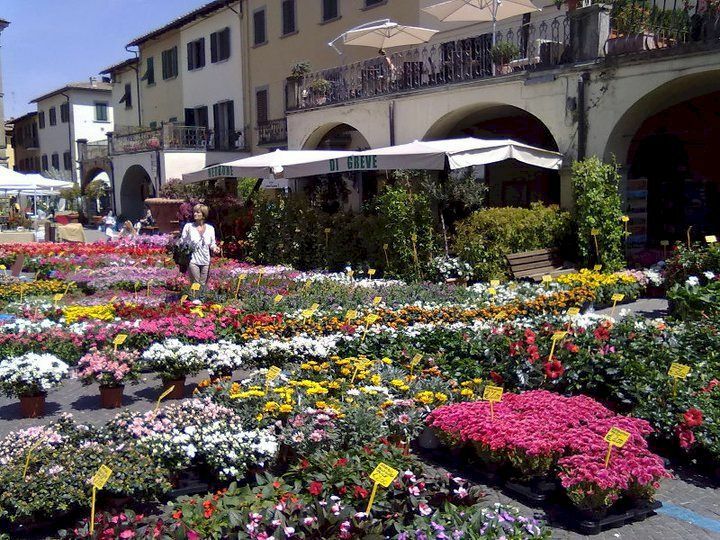 More about movies made in Tuscany.